Executive travel is just not about getting from point A to point B— it’s moving with a purpose. 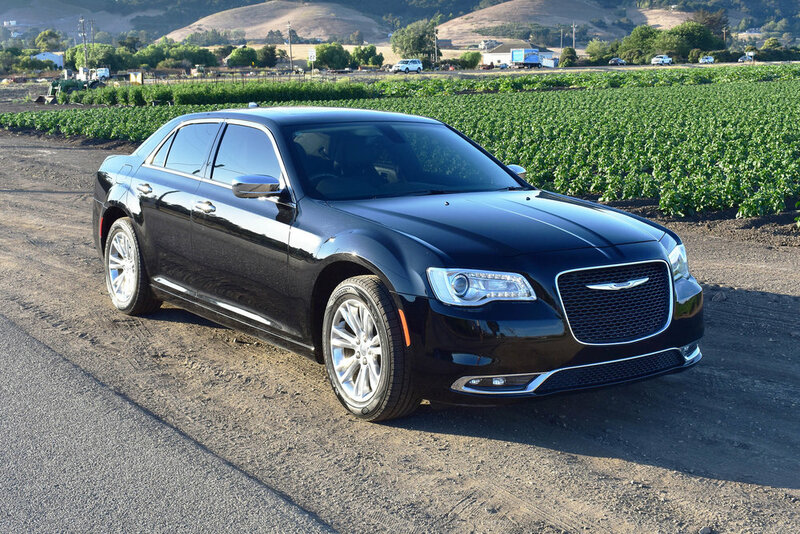 Luxury and comfort allow for hard work and efficiency at the appropriate times, and our luxury fleet allows you to choose which mode you’d like to be in while traveling. With cushy seating, on-board WiFi, workstations, and a host of other amenities for the executive on the go, our goal is to turn travel time into a positive experience. Hotel, Venue, Airport, Air BnB, Address, etc. If you have VIP clients or executives visiting your office, be sure to give them the ultimate Central Coast experience! Our team will set up a relaxation tour based on their preferences with one of our luxury vehicles to make a visit more memorable! Are you traveling with your team, or providing day-of transportation for guests? Allow Obsidian Luxury Services to curate the perfect first impression with reliable and professional transportation! Our Luxury Sedan and Mercedes Sprinter are equipped with Premium Leather seating, WiFi, and Bluetooth connectivity to ensure comfortable and relaxing travel to and from your meeting. Enter: red carpet. Fly first class, ride first class. Our luxury fleet and professionally-trained chauffeurs are ready to transport you and your group wherever you need to go. Obsidian Luxury Services works with San Luis Obispo County Airport & ACI Jet, Paso Robles, Santa Barbara, San Jose, San Francisco, LAX and more. Flying with ACI Jet? Check into the portal to book your ride! Obsidian Luxury Services offers fully customized employee retreats & tours according to your team’s interests and requests! Whether you would like to plan an all-inclusive wine tour on the Central Coast, or a weekend excursion to Yosemite National Park, our transportation specialists will coordinate the perfect outing for you and your employees! The below fields are optional, but will allow for our Logistics Coordinators to develop an accurate quote. Businesses, Wineries, Venues, Hotels, Etc. Traveling solo for business can be stressful. Our Luxury Sedan and Luxury SUVs offer premium leather seating, WiFi, and a relaxing ride to allow you a moment away from the grind. Our team of specialists can accommodate any special requests you may have during your travel. Our Luxury Mercedes Sprinter can seat up to 7 passengers, and accommodate luggage. Whether you’re a corporate group or community group, Obsidian Luxury Services is here to accommodate your travel needs. Our First Class fleet offers vehicles holding 14 passengers up to 56 passengers, with overhead storage, an on-board restroom, reclining leather seats, and more! San Luis Obispo is a continuously growing hub for technology, medical, agriculture and viticulture. Thousands of business professionals attend Conferences, Seminars, and Workshops along the Central Coast throughout the year, and spend their time off exploring all the area has to offer. Paso Robles boasts the largest American Viticulture Area in the United States, with over 49,000 acres of vines and 200 wineries, accompanied by Edna Valley’s 12 wineries. From sipping wine to kayaking the coast, you and your colleagues are bound to experience the magical SLO County that residents have fallen in love with.